To most people the words "Private Transfer" mean “expensive" … but this is not always the case and the stress free way you travel with a private transfer compared to getting a bus or taxi is incomparable. The cost comparison chart below shows how little difference there is between the costs. You will find taxis on the forecourts outside the arrivals halls of Bergamo, Linate and Malpensa Airports in Milan. During the summer months and at certain times when several flights arrive together you should expect to queue for anything up to 30 minutes which is not much fun – especially with tired and hot children. The normal size Italian taxi is only licensed to carry 4 passengers (including children). Private transfer companies supply vehicles of all sizes for up to 50 people, so if you are travelling in a large group, carrying a lot of luggage or sports equipment which will not fit into a normal sized boot it is worth getting a quote for one vehicle rather than pay for several taxis. If you pre-book a private transfer you can ask them to supply baby seats and child restraints which are very rarely carried by taxi drivers. It is not a good idea to hold a baby in your arms or have a child on your lap. With a private transfer the driver will be waiting for you in the arrivals hall holding a board with your name on it. Should your flight be delayed your driver will know as you give your flight details at the time of booking. They will take you to the waiting car or minibus and on to your destination. When you make the booking online you pay for the booking in advance using your credit card so there are no extra charges. 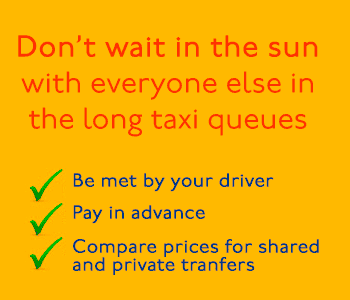 If you do intend to use a taxi make sure you get a quote from the driver before setting off to ensure that you are happy with the cost and do not get overcharged.. Shuttle Direct handle private airport transfers from Milan Bergamo Airport, Milan Linate Airport and Milan Malpensa Airport. Below are some cost comparisons showing how much a private transfer from the three Milan Airports compares to getting a taxi into Milan City Centre. The costs are based on two people travelling in the month of October with the private transfer in a saloon car or similar. A less expensive option is to book a seat on a shared shuttle bus which will take you from all three of the Milan Airports to your destination. 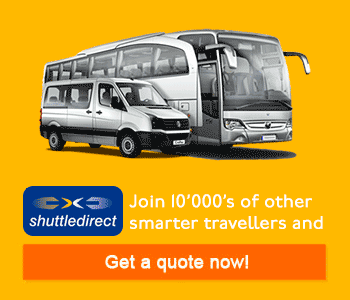 Again Shuttle Direct offer this service and you can get a free online quote by clicking on the link. Generally it is expected that you might pay slightly more for a private transfer than with the normal airport taxis, but the luxury of someone meeting and greeting you with a car waiting is down to personal choice.